Just spotted these pretty bound books designed by Coralie Beckford-Smith. 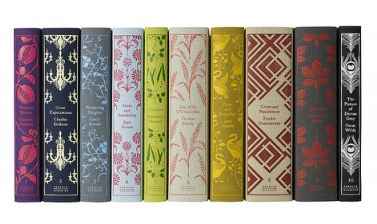 Featuring titles such as Wuthering Heights, Pride & Prejudice and Jane Eyres, these covers will look fabulous on a bookcase or stacked on a side table in your small space. 4 Responses to "I LOVE....Penguin Fine Books"
WOW! gourgeous books!! Love em...! I love them! How amazing!